Style: Diamond & Tourmaline Ring. Stone Type: Natural Tourmaline. Diamond Wedding Bands. Natural Diamonds Weight: 0.33ct. Settings Gold Ring. Gemstone Gold Ring. New Arrival. Settings Gold Earrings. Style: Diamond & Citrine Ring. Stone Type: Natural Citrine. Diamond Wedding Bands. Settings Gold Ring. Gemstone Gold Ring. Natural Diamonds Weight: 0.25ct. Settings Gold Earrings. Settings Gold Pendant. (14kt Yellow Gold Diamonds Tanzanite Ring. Tanzanite: Genuine 100% Natural. 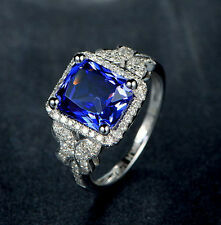 Style: Diamond Tanzanite Ring. Clarity: AAA . Diamonds: Natural Diamonds. Gold Weight (grams): 3.90G. 1) Ring Resizing. 2) Ring Redesign. Style: Diamond & Tanzanite Ring. Clarity: VVS. Stone Type: Natural Tanzanite. Diamond Wedding Bands. Settings Gold Ring. Gemstone Gold Ring. Natural Diamonds Weight: 0.40ct. Settings Gold Earrings. Style: Diamond & Topaz Ring. Stone Type: Natural Topaz. Diamond Wedding Bands. Clarity: VS. Settings Gold Ring. Gemstone Gold Ring. New Arrival. Natural Diamonds Weight: 0.27ct. (14kt White Gold Diamonds Tanzanite Ring. Tanzanite: 100% Natural. Style: Diamond Tanzanite Ring. Diamonds: Natural Diamonds. Gold Weight (grams): 6.56g. 4) Upgraded Diamonds (full cut, VS clarity or other). Style: Diamond & Citrine Ring. Stone Type: Natural Citrine. Diamond Wedding Bands. Settings Gold Ring. Gemstone Gold Ring. Natural Diamonds Weight: 0.18ct. Settings Gold Earrings. Settings Gold Pendant. Setting Earring. Diamond Wedding Bands. Gemstone Earring. Setting Ring. Gemstone Ring. Natural Diamonds Weight: 0.63ct. Gold Weight (grams): 2.88. Provide certificate(China) for the item. Style: Diamond & Tanzanite Ring. Clarity: VVS. Stone Type: Natural Tanzanite. Clarity: VVS ( Very Good ). Diamond Wedding Bands. Settings Gold Ring. Gemstone Gold Ring. Natural Diamonds Weight: 0.72ct. Style: Diamond & Tanzanite Ring. Stone Type: Natural Tanzanite. Diamond Wedding Bands. Settings Gold Ring. Gemstone Gold Ring. Natural Diamonds Weight: 0.85ct. Settings Gold Earrings. Settings Gold Pendant. Style: Diamond & Citrine Ring. Stone Type: Natural Citrine. Diamond Wedding Bands. Cut: Cushion Cut. Settings Gold Ring. Gemstone Gold Ring. Clarity: VS. Clarity: Very good. Style: Diamond & Citrine Ring. Stone Type: Natural Citrine. Diamond Wedding Bands. Settings Gold Ring. Gemstone Gold Ring. Natural Diamonds Weight: 0.20ct. Settings Gold Earrings. Settings Gold Pendant. Style: Diamond & Citrine Ring. Stone Type: Natural Citrine. Diamond Wedding Bands. Settings Gold Ring. Gemstone Gold Ring. Natural Diamonds Weight: 0.12ct. Settings Gold Earrings. Settings Gold Pendant. Diamond Wedding Bands. Natural Diamonds Weight: 0.69ct. Settings Gold Ring. Gemstone Gold Ring. New Arrival. Settings Gold Earrings. Settings Gold Pendant. Gemstone Gold Earrings. Style: Diamond & Tourmaline Ring. Stone Type: Natural Tourmaline. Diamond Wedding Bands. Natural Diamonds Weight: 0.20ct. Settings Gold Ring. Gemstone Gold Ring. New Arrival. Settings Gold Earrings. Style: Diamond & Tanzanite Ring. Stone Type: Natural Tanzanite. Diamond Wedding Bands. Settings Gold Ring. Gemstone Gold Ring. Natural Diamonds Weight: 0.68ct. Settings Gold Earrings. Settings Gold Pendant. (Cut: Princess(7x7mm). You will find hidden gem here. Diamonds: Natural Diamonds. Ring Size: 6.5. Gold Weight (grams): 2.98g. 1) Ring Resizing. 2) Ring Redesign. 6) Custom make your own ring. 18Kt White Gold Diamonds Sapphire Ring. Main Pink Sapphire : Genuine 100% Natural. Small Pink Sapphire : Genuine 100% Natural. Style: Diamond Sapphire Ring. Diamonds: Natural Diamonds. Custom make gold & diamond jewelery per your designs and specifications. Style: Diamond & Peridot Ring. Stone Type: Natural Peridot. Diamond Wedding Bands. Natural Diamonds Weight: 0.53ct. Settings Gold Ring. Gemstone Gold Ring. New Arrival. Settings Gold Earrings. Clarity: VVS. Setting Earring. Diamond Wedding Bands. Gemstone Earring. Setting Ring. Gemstone Ring. Natural Diamonds Weight: 0.56ct. Gold Weight (grams): 6.01. The center is a 2 1/2 to 3 carat white sapphire sparkling Solitaire. The detail on this ring is fantastic. I tried to get a lot a close-up pictures for you ,But it does look better in person. Marked 925 inside. Tanzanite Gemstone Wt: 3.85 ct. 18k Yellow Gold Wt: 1.51 gms. We showcase a wide range of exquisite jewelry studded with diamonds & precious/semi-precious stone. We provide comprehensive solutions for Designer jewelry, Cast Fabricated jewelry and High end Handcrafted jewelry. So many options! SINCE MOST PRODUCTS ARE HANDMADE AND MADE IN OUR WORKROOM, YOU CAN ASK US ANY FORM OF PERSONALIZATION. YOU CAN CHOOSE FROM ROSE GOLD, YELLOW GOLD OR WHITE GOLD. EVEN AFTER PURCHASING THE ITEM, YOU CAN STILL ASK US TO ADJUST THE SIZE OR LENGTH. Style: Diamond & Tanzanite Ring. Stone Type: Natural Tanzanite. Diamond Wedding Bands. Settings Gold Ring. Gemstone Gold Ring. Natural Diamonds Weight: 0.35ct. Settings Gold Earrings. Settings Gold Pendant. New 2.08Ct Tanzanite Cocktail Ring 14K Rose Gold Solid Pave Diamond Handmade Pre Wedding Jewelry. Tanzanite Weight 2.08 ct. Gold Purity 14K Rose Gold. Diamond Weight 0.270 ct. our Jewelry. Gold Weight 1.72 gm. Style: Diamond & Tanzanite Ring. Stone Type: Natural Tanzanite. Setting Earring. Diamond Wedding Bands. Gemstone Earring. Setting Ring. Gemstone Ring. Gold Weight (grams): 4.5. Style: Diamond & Tourmaline Ring. Stone Type: Natural Tourmaline. Diamond Wedding Bands. Natural Diamonds Weight: 0.37ct. Settings Gold Ring. Gemstone Gold Ring. New Arrival. Settings Gold Earrings. 14K Yellow Gold : 1.25 gm (Approx). Diamonds Studs Gold diamond Rings Gold Diamond pendant Diamond Necklace. Gemstone Information. This ring available in all three Gold (Rose / Yellow / White). Birthstone Studs Solid Gold Jewelry Carving Earrings Beads & Findings.